Death is a natural part of life. 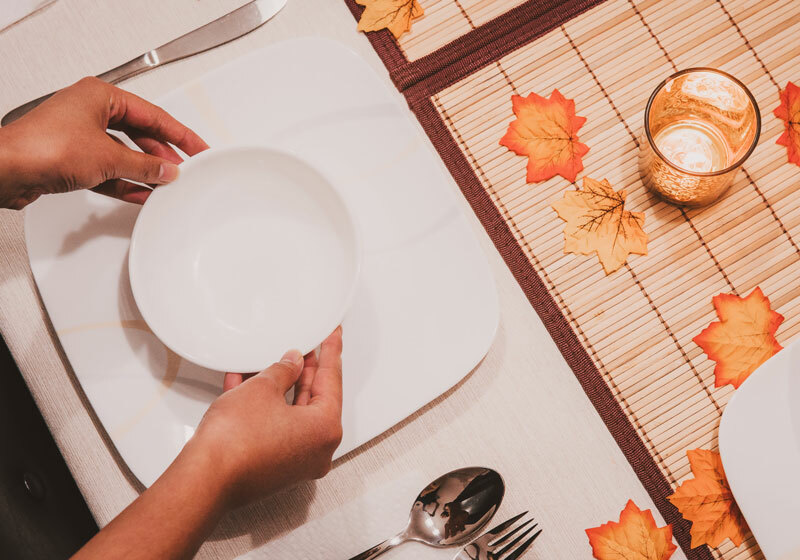 Just as death is natural, so too is the grief that follows for the surviving family members, friends, and others impacted by a loved one’s death. However, when adults begin to process their grief, it is sadly common for them to forget the grief of their children. To aid these grieving children and their families, grief camp programs have been established by multiple nonprofits across the United States, including our own. What, though, makes these camps effective and how do children and their families work toward healing during the camp program? By learning why children’s grief is so often overlooked, how grief can affect children, and how grief camps -- through their setting, therapeutic curriculum, and teams of professionals -- help address this problem, we can better understand the value of grief camps and their role in bringing healing to grieving children and families. Why is Children’s Grief Often Overlooked by Adults? When adults overlook the grief of their children, it is very rarely on purpose. Often, a child’s grief doesn’t manifest in the same way that an adult’s grief would. Some children may outwardly appear completely unaffected by the loss, and are overlooked accidentally as the adults process their own grief while still carrying out the day-to-day demands of adult life. Children experience grief differently from adults. To parents, grandparents, teachers, and other significant adults in a child’s life, these and other behaviors may not be readily identified as being related to the death of a child’s loved one. Children may stay silent out of fear that expressing their grief will burden adults. Children are deeply in tune with their parent’s emotional state and can pick up on the verbal and nonverbal indicators that might signal a parent’s distress after the death of a loved one. Sensing this distress, children may elect to keep their feelings hidden, opting to stay silent and bottle up their emotions rather than expressing their grief and risk burdening their parents. This silence and putting forward of a brave face may unfortunately lead parents and other significant adults to believe that a loved one’s death hasn’t impacted the child at all. Children often don’t know how to verbalize their grief. Most children — especially younger children — don’t know how to translate the complex emotions that they’re experiencing into words. This inability to verbalize their emotions can be a frustrating and isolating experience. This tumultuous combination of grief and frustration can manifest in the child’s life as withdrawal from friends and family, decreased interest and performance in school, depression, increased anxiety, and many other adverse effects. How Can Grief Affect Children? Experiencing grief after the death of a loved one is a natural part of life. However, if a child’s grief goes largely unnoticed by their parents or other significant adults, and the child is left to their own devices when learning to cope, the grief can have a far-reaching detrimental impact — socially, mentally, emotionally and physically — on their young lives. Why is the Camp Environment Effective In Helping Grieving Children? The pace of everyday life for the average child is much quicker than the pace of life their parents experienced as children. 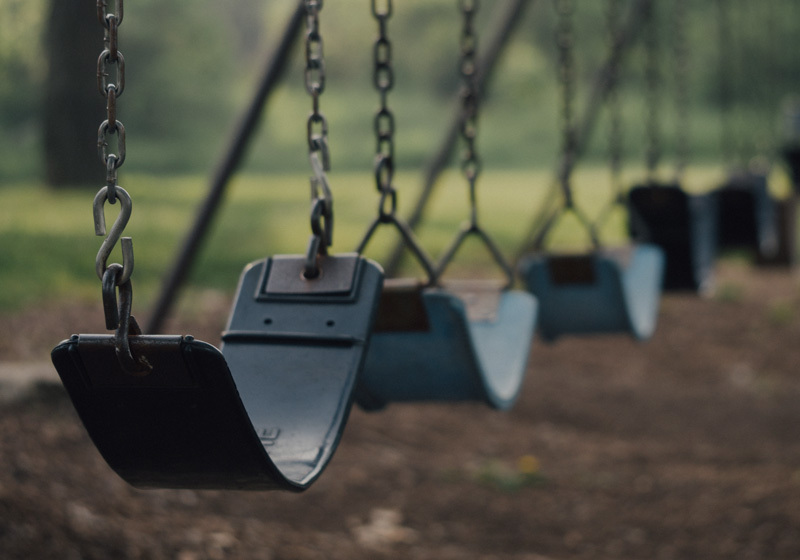 With the pressures of school, homework, and extracurricular activities, coupled with the overall declining rates of play for children in the United States, it’s easy to see how taking time to understand and process grief might not get the attention that it deserves in the life of a child. In light of the stresses and pressures placed on today’s children, the camping environment builds an atmosphere of healing that helps children focus on understanding their grief, recognizing the beauty of life, and building positive relationships with others facing the same challenges. The camp environment fosters an atmosphere free from distractions. Smartphones, tablets, and digital media are wonders of connectivity, but are all vying for children’s finite attention. With most American children spending an average of 5-7 hours on electronic devices during their leisure time, unplugging is becoming more and more difficult. 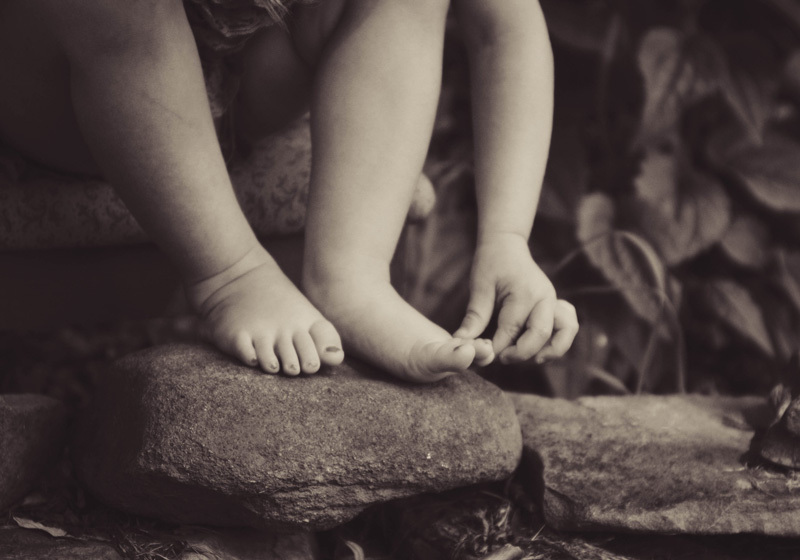 By placing children into an electronics-free setting that’s safely nestled in nature, children are able to more intently focus on how they’re feeling, understand why, and learn how to move toward healing and growth. The camp environment builds self-esteem and confidence. When a loved one dies, that person’s missing presence feels like a hole left in the middle of our lives. For children — especially those who have lost a parent — this sudden missing presence now makes all of life’s certainties feel decidedly uncertain. This eroding of security often leads to children feeling a diminished sense of confidence and overall lower self-esteem. Working through difficult challenges helps children realize how strong they are. When placed into the camp environment, however, children begin to realize just how capable they are. Suddenly, they are staying overnight in a new and exciting place, meeting new friends, overcoming difficult challenges, and learning new things all on their own. This realization instills within children the knowledge that even during difficult times, they will always be able to adapt and confidently overcome any obstacle, and that they are always worthy of love and acceptance from others. The camp environment creates an appreciation for the beauty of life. When struggling with grief, it’s common for both adults and children to have difficulty seeing the beauty of life. With our loved one gone, there’s not much about life at that time that feels beautiful. To re-affirm within children the beauty of life, grief camps make use of the nature-rich setting of the camp environment. By allowing children the opportunity to connect with nature, they’re able to experience the grandeur of the interconnectedness of all life and how we — and the loved ones that have died — each play a role in making this world all the more beautiful for having been a part of it. The camp environment promotes inclusivity that fosters friendship and continued prosocial behaviors. After experiencing the death of a loved one and the grief that follows, children may begin to feel outcast from their normal social groups, giving rise to feelings of vulnerability and anxiety around their peers. Campers build meaningful friendships that last far beyond their stay at camp. Within the camp’s group-centric environment, children play, create, share meals, and overcome challenges with campers — from varying cultures, ethnicities, and nationalities — who are facing the very same struggles that they are. 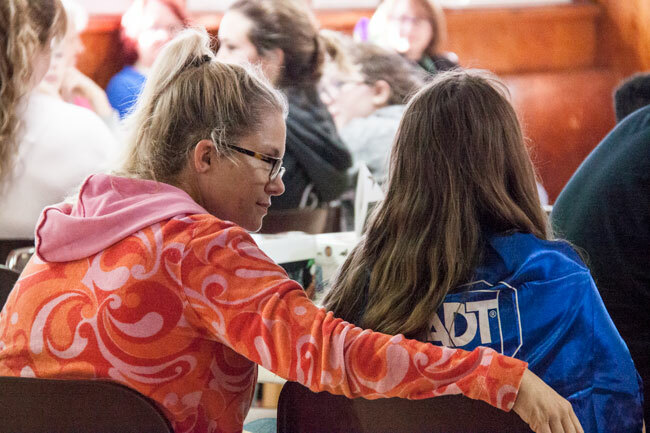 By forming these new bonds of friendship, campers realize that they are not alone in their grief and that there is no limit to what can be overcome by working together with others. 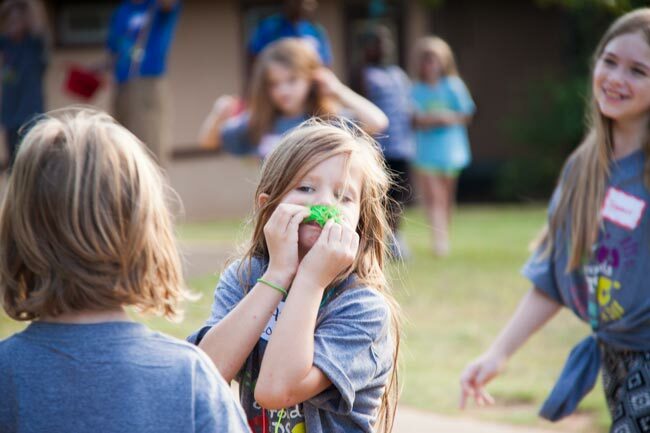 What Activities Do Children Participate In at a Grief Camp? 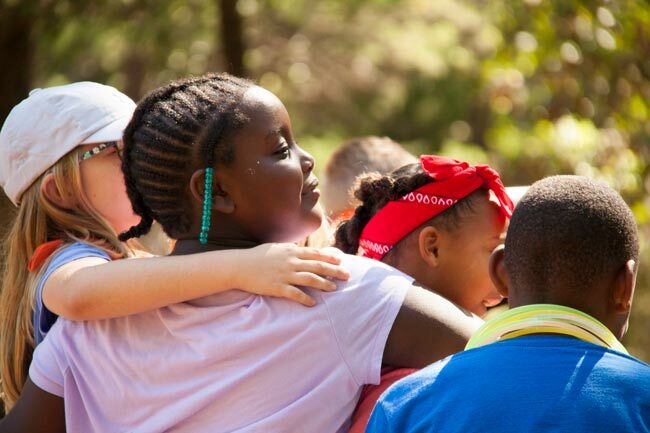 Central to every grief camp is its curriculum of activities and therapeutic practices that are designed to teach children about themselves, the grief that they are experiencing, and how they can begin to heal after the death of a loved one. 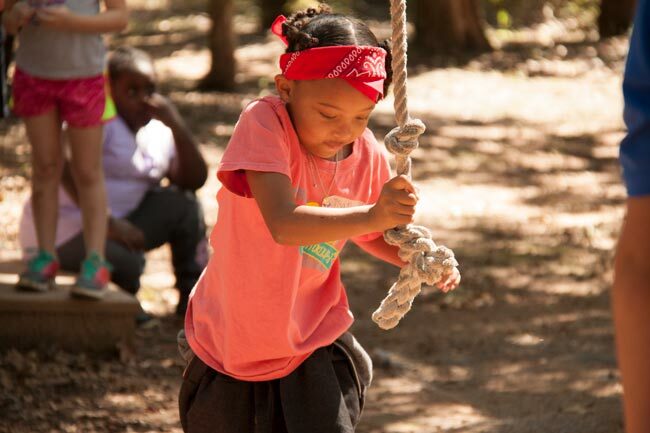 Whether racing across a ropes course or competing in a team dance-off, children are encouraged to work together in groups. 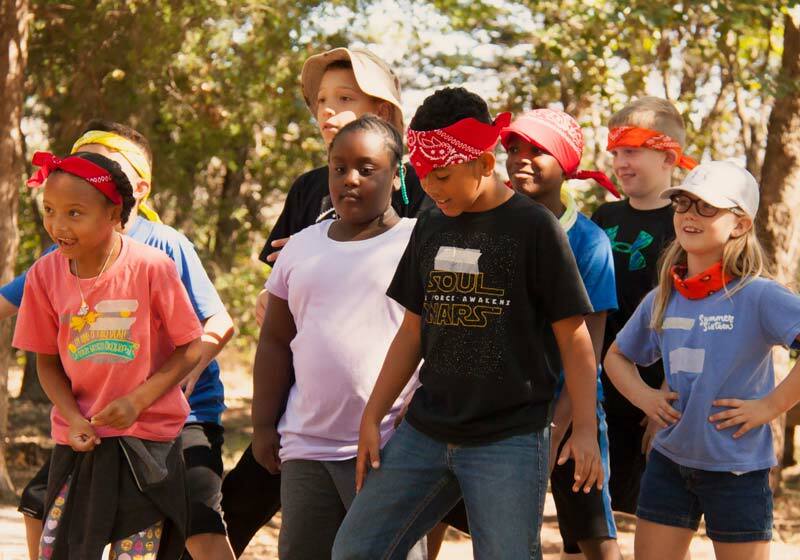 While some may be understandably shy, the group interaction helps campers realize that they’re a valuable member of the group and that other children want to be around them and work together to overcome the challenges ahead. By working together, campers learn that they are worthy of friendship and others want to help them. By working together to complete these fun challenges, the children learn that they’re normal and in no way broken. They’re a valuable person with great ideas and talents all their own. With this instilled in the campers, they begin to understand that though the grief they are experiencing may be difficult, they will emerge a stronger and more capable person. During a memorial nature walk, children and camp staff take a contemplative walk through nature as group. Throughout the walk, children are instructed to keep an eye out for anything that might remind them of their loved one and to keep it with them. With their items in hand at the end of the walk, the children and staff then discuss their treasures in a large group, with each child proudly displaying their item and explaining its significance. This life-affirming exercise, and other nature-based activities like it, help children reconnect with nature and discover how their loved one’s life, love, and memory will forever be all around them as they progress through life. Therapy animals — especially dogs, cats, and horses — are uniquely attuned to the emotions of humans. Their role in the grief camp experience is to be a silent, ever-present, and endlessly compassionate friend to the campers. 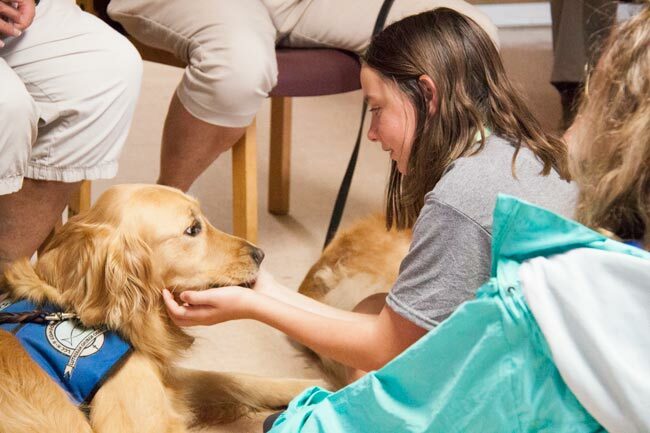 Therapy dogs provide a soothing, loving presence for grieving children. Often times, when campers might not be willing to share their thoughts and feelings with the camp staff, the friendly presence and warm embrace of a therapy animal helps them open up and communicate what they’re feeling. Like all of us, children need exercise, and exercise is a powerful tool against depression, anxiety, and other negative symptoms that commonly accompany grief. By incorporating outdoor play and exercise into the camp activities, the campers are allowed to simply be kids — having fun and playing games with others who are facing the same struggles — and get the physical and emotional benefits of the exercise. It’s vital that children communicate their needs to the significant adults in their life while coping with grief. For some children, discussing their emotions might not be their preferred method of communication, and for others, the feelings they’re experiencing might be too confusing to express verbally. Arts and crafts provide campers a nonverbal, creative outlet for their emotions. Here, therapeutic arts and crafts excel. Whether painting a memory plate or creating a clay sculpture, children are free to let their creativity do the talking. Paints, clays, stickers, cut-outs, paper, and glitter take the place of words, letting the children’s creativity be the vehicle for their communication and outlet for emotional expression. When a loved one dies, and children begin to return their daily routines, they may feel different from the other children, even ostracized from their circle of friends at school. 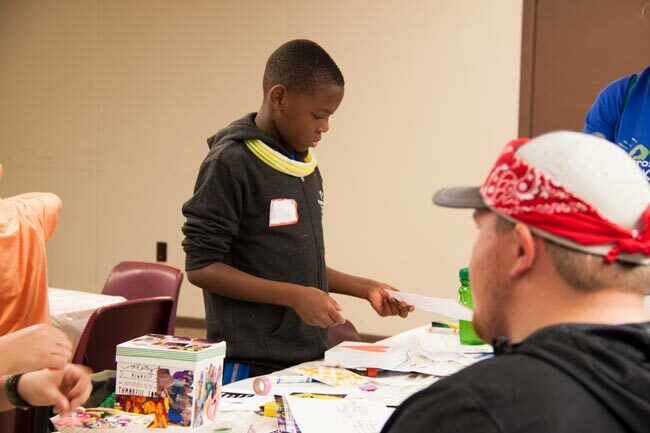 To combat these feelings of isolation, many grief camps set aside specific times for children to discuss how they feel out loud and encourage open discussion and sharing during smaller group projects. Whether openly discussing their loss over a creative project at the camp, or sharing some of their fondest memories of their loved ones with others in an open discussion, kids come to know that they are surrounded by friends and compassionate adults who know their struggle and want to help. 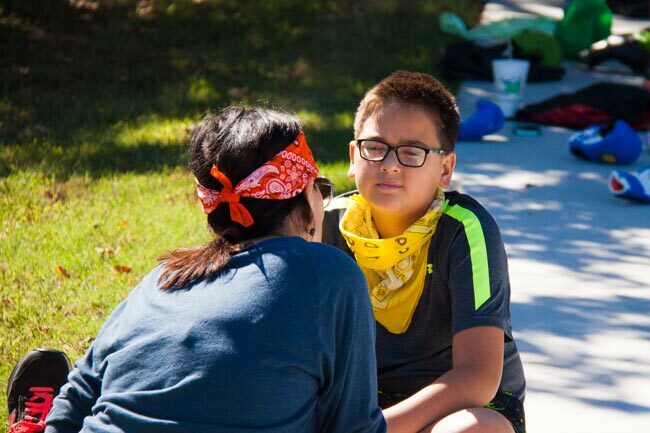 During the course of one of our Crossroads Kids grief camps, it’s not uncommon to see a child and their camp buddy — a member of staff assigned to the child — sitting down and having a quiet moment of contemplative discussion. Trained professionals are always on hand to help kids on a personal level whenever needed. Within these one-on-one discussions, campers freely explore how they feel while having compassionate help within arm’s reach, providing the staff with tremendous insight concerning exactly what that child needs to begin working toward healing. How do Grief Camps Help the Families of Grieving Children? 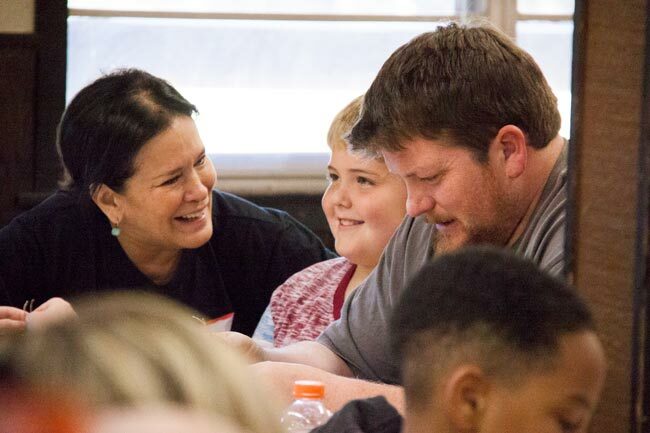 While the primary focus of a children’s grief camp is directed toward helping children understand and cope with grief, the children’s families also play a crucial role in the healing journey. With parents and the other significant adults in a child’s life setting the emotional and spiritual tone of the home, it’s important to remember that they may also be struggling with grief. In light of the impact adults have on their children’s healing, effective grief camps also invest time and effort into helping parents mentally, emotionally, and spiritually. Grief camps empower families with effective coping strategies that they can use to help their children at home. Whether teaching parents how to talk to their kids about grief, how to answer difficult questions, or what techniques to employ when emotions feel overwhelming, effective grief camps aim to empower parents with the tools they need to continue the healing at home. Crossroads Kids provides parents with the tools and techniques they need to continue helping their children work toward healing. Grief camps provide families therapeutic counsel concerning their own grief. Children take their emotional cues and first learn how to deal with negative emotions by watching and learning from their parents, which makes it all the more important that parents are displaying first-hand how to cope with grief in a healthy manner. Coping with grief, however, is seldom a simple endeavor. Getting help and insight from grief experts allows adults to reflect on their personal experiences with grief, how they are adjusting to the loss, and how they can be a model of healthy grieving for their children. Grief camps provide adults unique insight into how their child is coping with grief. 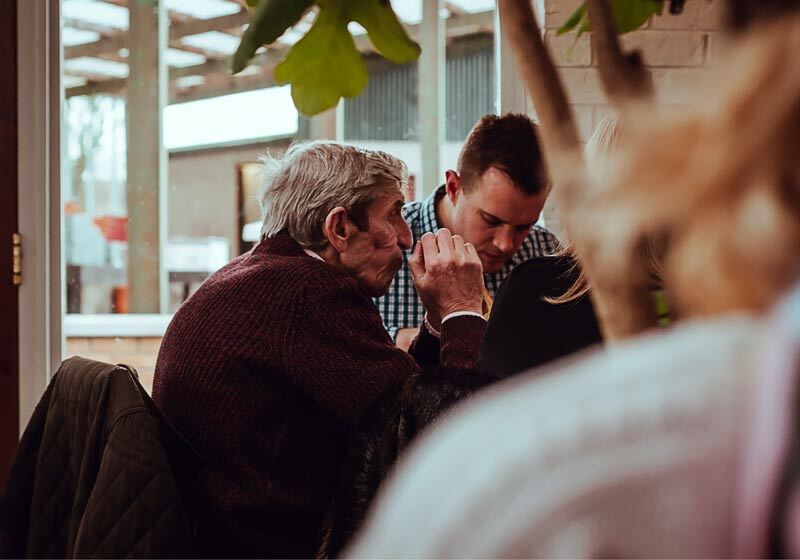 While parents naturally seek to be a loving bastion of support, the skillful insights of professionally-trained grief counselors and bereavement specialists is invaluable. Professional counselors also work with the families to help them understand and process their grief. Together, they provide parents with a unique array of information that can help them be a more effective source of comfort and support to their child. 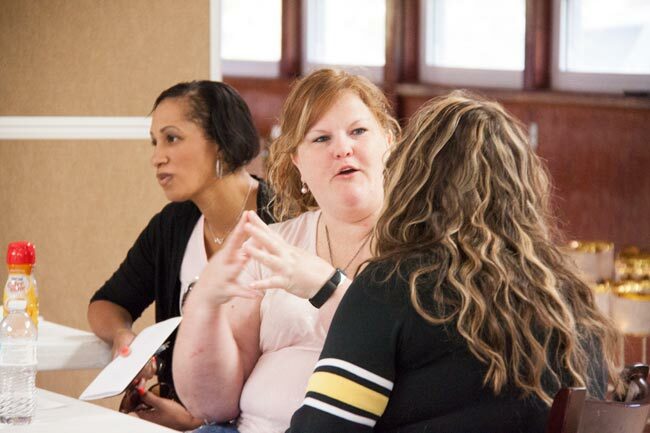 Working together with the parents, camp staff and counselors help parents understand exactly where their child is on the grief journey, where they might be struggling, and how that parent can best support them on their continued path toward healing. What Professional Healthcare Workers are Present at Grief Camps? Children’s grief camps are designed with a primary goal in mind: to provide children a safe, fun, and loving atmosphere wherein they can understand their grief and begin healing. To provide this safe and supportive atmosphere, and to ensure that the campers and their families receive the highest quality of care, grief camps employ skilled, compassionate teams from a wide array of care disciplines. Social workers and psychologists play a vital role in every level of the grief camp experience. In addition to being a supportive presence and counselor to campers, these skilled experts work together with the other camp staff to design the camp curriculum, facilitate constructive communication between campers and parents, and ensure that each child receives the attention and support they need during the camp and beyond. Quality grief camp programs work to support both the children and their families on the path toward healing. Grief and bereavement specialists offer children guidance throughout their path toward healing. 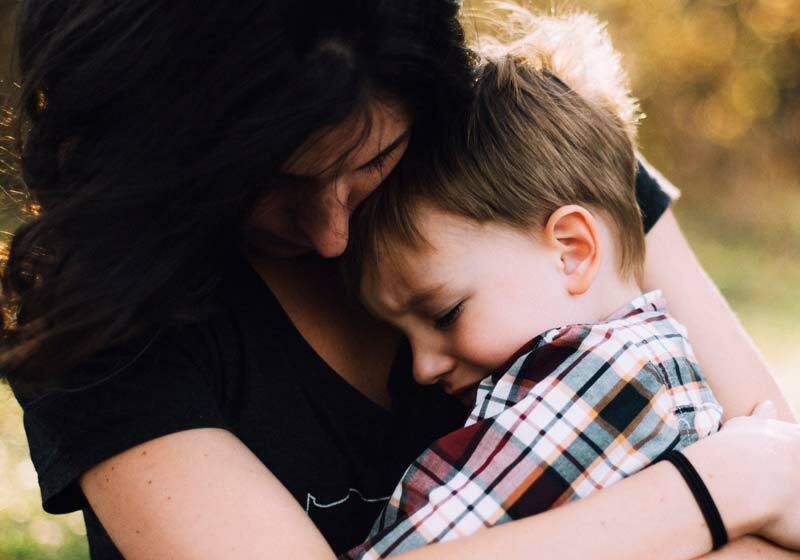 Whether helping children better understand their feelings, offering them loving counsel and guidance, or simply being a supporting presence and a listening ear, these specialists arm children with the knowledge and coping techniques that can be used throughout their grief. During grief, children commonly have questions surrounding spiritual topics. Chaplains provide these answers and act as a bastion of spiritual support for children during their time at camp. Arts and crafts play a pivotal role in providing children with a means of judgement-free, nonverbal, emotional expression. Art therapy specialists guide children through the creative projects, foster an environment of teamwork and self-expression, and help the children understand how their creativity can be an outlet for their emotions during difficult times. From the beginning of the signup process until the end of the camp, a detailed medical profile of each child is kept on-hand by skilled nursing professionals who are on-site at all times. 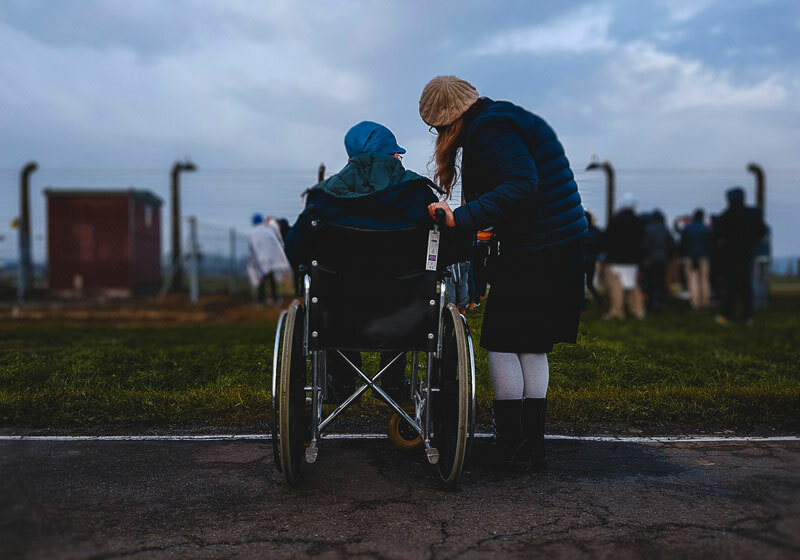 These nurses ensure that campers take any prescription medications on time, that campers avoid contact with any potential allergy hazards, and that campers have medical help immediately by their side should an emergency arise. If you’re considering enrolling your child in a grief camp program, we would love to have you with us for one of our upcoming Crossroads Kids camps. There’s little direct cost to you — only a $15.00 registration fee — as Crossroads Kids is made possible by the loving support of our donors. Regardless of the camp program you choose, you and your child will be enriched and empowered by the grief camp experience. With compassionate staff, specialized therapeutic activities, and the goal of healing kept foremost in the mind and hearts of all involved, your child and family will be entering into an environment of support and love that will empower you to embrace grief and progress toward healing. 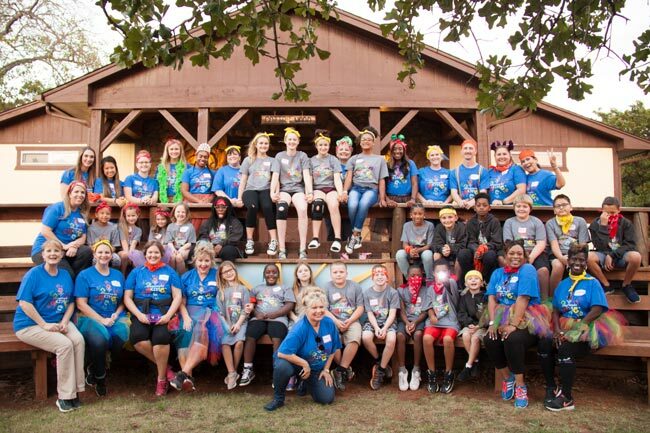 From all of us at Crossroads Kids: Thank you for continuing to make these healing camps possible! Brown, Stephen L., et al. “Are Kids Too Busy? Early Adolescents Perceptions of Discretionary Activities, Overscheduling, and Stress.” Journal of School Health, vol. 81, no. 9, Nov. 2011, pp. 574–580., doi:10.1111/j.1746-1561.2011.00629.x. Brown, Tiffany B., and Thomas G. Kimball. “Residential Grief Camps: An Initial Phenomenological Study of Staff Perspectives.” The Qualitative Report, vol. 17, no. 1, Jan. 2012, pp. 78–91. Curtis, K, and T Newman. “Do community-Based support services benefit bereaved children? A review of empirical evidence.” Child: Care, Health and Development, vol. 27, no. 6, 2001, pp. 487–495., doi:10.1046/j.1365-2214.2001.00232.x. Ellis, Jackie, et al. “The long-Term impact of early parental death: lessons from a narrative study.” Journal of the Royal Society of Medicine, vol. 106, no. 2, 2013, pp. 57–67., doi:10.1177/0141076812472623. Farber, Michaela L. Z., and Christine Anlauf Sabatino. “A Therapeutic Summer Weekend Camp for Grieving Children: Supporting Clinical Practice Through Empirical Evaluation.” Child and Adolescent Social Work Journal, vol. 24, no. 4, Mar. 2007, pp. 385–402., doi:10.1007/s10560-007-0090-0. Gray, Peter. “The Decline of Play and the Rise of Psychopathology in Children and Adolescents.” Journal of Play, vol. 3, no. 4, 2011, pp. 443–463. Haine, Rachel A., et al. “Evidence-Based practices for parentally bereaved children and their families.” Professional Psychology: Research and Practice, vol. 39, no. 2, 2008, pp. 113–121., doi:10.1037/0735-7028.39.2.113. Larsen, Lene. “A Collaborative Approach to Improve Support Provided to Bereaved Siblings.” Journal of Palliative Care & Medicine, vol. 04, no. 05, 2014, doi:10.4172/2165-7386.1000190. Raveis, Victoria H., et al. “Children's Psychological Distress Following the Death of a Parent.” Journal of Youth and Adolescence, vol. 28, no. 2, 1999, pp. 165–180. Thompson, Martie P., et al. “Psychological Symptomatology Following Parental Death in a Predominantly Minority Sample of Children and Adolescents.” Journal of Clinical Child Psychology, vol. 27, no. 4, 1998, pp. 434–441., doi:10.1207/s15374424jccp2704_7. Zahl, Tonje, et al. “Physical Activity, Sedentary Behavior, and Symptoms of Major Depression in Middle Childhood.” Pediatrics, vol. 139, no. 2, Sept. 2017, doi:10.1542/peds.2016-1711.